“The real tragedy is not that David Starkey is ill-informed about certain subcultures and has a tendency to make generalisations based on race, but that he is allowed on television at all. His ill-informed, unprepared contrarianism is both misleading and tiresome.” This. Oh lordy, this. My only complaint is that his attacks on women historians did not merit this kind of attention or condemnation. Brilliant. Thanks for that. But what of the Newsnight producers? Rather than inviting speakers who might have a real understanding of current problems, thus generating a useful debate, they have simply spent the week gathering together groups of polar opposites in order to provoke arguments. Lazy journalism and so disappointing. No doubt they’ll be very happy though, considering the outcry they’ve caused. Our publicly financed broadcaster should be better than that. To give them the benefit of the doubt, I’d argue that they perhaps thought he would give them a historical perspective on the riots. If he were, say to examine what was common about the Gordon Riots, the Swing Riots, the Peasants’ Revolt, the race riots of the twentieth century, and what was new and different. Instead, he starts by saying we can’t come to any conclusions about these riots yet, and then proceeding to draw all kinds odf bizarre conclusions from his very incomplete knowledge of them. However, given that i think I remember (although I’ll have to watch it back to check) Emily Maitlis quoting the ‘whip hand’ of the “Rivers Of Blood” speech back at him verbatim, it seemed like she was prepared for what he was going to say. The fact that they let him on *knowing that* (if they did) is the really worrying thing. Diabolical but unfortunately not unexpected. Could we not find him a padded cell to share with the odious Orlando Figes? Not only does David Starkey appear racist in this discussion, he is also incredibly rude. Having pleaded with the other contributors to let him finish his points he then denied the others the chance to make theirs, as though they were undergrads who should defer to “the expert”. I for one would have liked to hear more from Owen Jones, who clearly had some useful and interesting things to say (as did Dreda Say Mitchell), yet every time he got near to making his points and elaborating on them Starkey rudely cut across with his own version. I wouldn’t go that far. His words were simplistic, foolish, clumsy, but they weren’t drivel. Not quite. No, I was talking of you and what you usually spout. Sorry? You were talking about you and what you usually spout? There’s no need to be so harsh about yourself. Yes, you’re facile, incoherent, unpleasant and dull, but you don’t speak drivel. Never drivel. 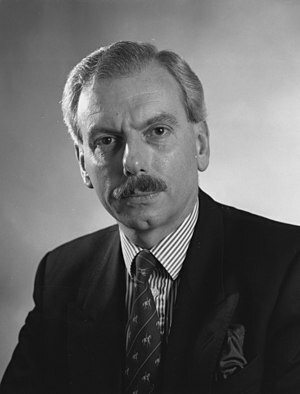 I think that David Starkey is the kind of pundit who believes that it is always better to be interesting than right – and that is probably why he is often invited on to television programmes. It’s certainly always better to be interesting than right-on, as this rather tiresome screed indicates. This isn’t ‘where comedy meets writing’. It’s ‘where sixth-form political absolutism meets writing, and forgets to put any jokes in’. No they don’t. Do they? What is wrong with PROOFREADING and referring to him as Mr. Starkey (with a capital S)? Well, John, that’s a thoughtful and substantive response that contains lots of well-researched points that need addressi… Oh no. My mistake. As you were. Let me be clear. I do not condone what the rioters did. However this has been a long time coming and everybody seems to have known it except for politicians and folk of that ilk. You cannot expect people to sit back quietly while these types of austerity measures are rammed through. One student generation got it free and liked it so much they decided to charge the next student generation till they bled. You cannot expect people to sit back and wonder why no convictions have been made regarding the banking crisis and subsequent global economic turmoil. You cannot expect people to sit back when corruption is rife in politics and the police have lost all credibility and non are held to account. The rot started at the top. The Norwegian Prime Minister said after the recent terrible deaths that they would “answer the violence with even more democracy”. Wow! Imagine that! David Cameron clearly has a different approach. David Cameron wants to look into curbing the use of social media in these sorts of circumstances. So yet again the majority get screwed. 9/11 and 7/7 have sped up the systematic stripping away of the rights of the innocent law abiding majority. Habeas corpus, double jeopardy, detention and house arrest without trial, stop and search, attacks on human rights legislation, kettling when it is supposed to be a democratic right to march in protest. I’m not an academic or an expert or indeed have any specialist field but why was all this not necessary when the IRA where setting of their bombs. Why now? Does it have to do with skin colour again or is that too simplistic? What are the real questions we are failing to ask? Look.. I think you commentors need to reconsider your position. You just can’t silence opinions you don’t like with the screech “racist” – it just isn’t going to wash. Now Starkey’s language was provacative, but how do you answer his substantive point that “gangsta” culture is poisoning and ruining many young people’s futures? I don’t think anyone’s trying to silence anyone. And ‘racist’ isn’t a screech. It’s an observation. I think we can all agree that there are elements of ‘gangsta’ culture, as you put it, that are detrimental to society as a whole. As an extreme reflection of the worst aspects of the materialism of much of our culture it is particularly pernicious. However, if that’s what Starkey wanted to discuss, that is what he should have said. To expect an academic to be reasonably precise in the language they use is hardly asking much of them. I appreciate the desire to be punchy and controversial, but if you’re going to strip a nuanced argument of all its nuance then you should expect to be called out on what you’ve done. He didn’t get much of a chance to clarify his position once the other two panellists just shouted him down. Maybe everyone would be happier if tv debates comprised only fluffy liberals spouting platitudes? Or maybe the exponents of personal responsibility should actually take responsibility for the things they say? Trouble is Starkey nailed it and that riles all you bleeding hearts. Kids wonder why they aren’t getting jobs and then try to complain about the situation using this perverse negroid patois. They can stay on the dole and I’ll employ Poles; at least they speak English. Yes, he nailed it without evidence or logic or even a compelling narrative. Nailed. It. Booyah! Fear the Starkey! “Perverse negroid patois.” Yeah, I’m not sure we have much more to talk about, but thanks for dropping by. Buh bye. To be honest, I suspect that the ridiculous Starkey is articulating what so many people would love to voice. Logic has given way to newspaper headlines and phony TV debates and analysis. I think that for various reasons there is a fear in England of black men in particular, perhaps only now matched by a fear of Islam (not necessarily Muslims). Of course being both means I’m either paranoid or in grave danger. I think Starkey was trying to have his cake and eat it, on reflection. I originally thought that his phrasing was clumsy and lazy. Now I’m not so sure it wasn’t a deliberate attempt to pander to racist fears. Yeah, that’s what I did in many a seminar back in my undergraduate days. But of course Starkey isn’t just foolish, he’s also insidious. Say that black is criminal enough times, and some people will start believing it. I do hope it ends his career. It is interesting how different people coming from different political viewpoints will see different things in this Stark video. I read your commentary with interest, but I came to this video from a different political perspective that you, I think. I am not a follower of any political ideology. I don’t like ideologys on principle. However, I do lean further to the right than the left because I think the left is more dishonest, hypocritical and very controlling in devious ways. Even so, I agree Starky was a fool, not because of what he said so much (though he was unclear — possibly even afraid to say what was really on his mind — in places and that left him wide open) but because he was stupid enough to go into a BBC studio to ambushed by three lefties on a mission to make him look stupid. They would have been on a mission to make anyone from the right look stupid. It’s what they do. The technique he encountered at the BBC is what I term “mobbing” because it reminds me of what crows and other birds do if a large predatory bird flies too near their nests. They gang up, squark noisely and try to drive the threat away. This is also what feminists are famous for. The last thing those in that studio wanted was an honest debate. They were seeking to reinforce their leftist view of the world and Starky represented, however ineptly, a threat. He attacked some of their favourite ideological weapons — race, equality and homophobia being their strongest arms. But, he did so alone and being poorly prepared,as you say. He then found himself being mobbed and everytime he fought to get the discussion back onto neutral academic territory he found his route cut off. Each word he then uttered was adding grist to the slavering lefty editors and producers mills in tv land and in the press. Of course, Starky was an invited threat. They would have studied him closely and their ambush would have been well prepared. Starky’s problem is that he has no idea just how cunning his foes are and that is also unforgiveable. As Sun Tzu says, ‘Know your enemy and know yourself.’ It is clear Starky knows neither. I’m afraid no one made Starkey look stupid but Starkey. He wanted to be both provocative, but then lacked the balls to admit what he was saying and take responsibility for it. Had he robustly defended the position that ‘the whites have become black’ or that there was some non-racist way of meaning ‘if you turn off the screen, David Lammy could be white’, I would have some time for him. But he didn’t. He had whole minutes to speak uninterrupted (a courtesy he didn’t extend to anyone else), paraphrasing Enoch Powell and developing his narrative. After that, whenever anyone tried to speak he screeched them down, squealing like a piglet trapped at the bottom of a well. A well he dug for himself. He behaved like a teenager, desperate to say something controversial to get attention, but without the personal morality to take responsibility for what he said. Please excuse any typographical errors I have mislaid my reading glasses. George Rolph – That’s spot on…. Here’s a point of view that’s been expressed by poeople before.. e.g. Tony Blair. BUt now a rightie has said it.. he’s toast. For 30 years now the left has suppressed debate with screams of “raycissssst” It just isn’t going to wash any more. The left’s social agenda has been catastrophic and their old tools to suppress dissent from their mad world view just won’t hold any more. Yes, but you’re being intentionally dim here to support your own ideological view. Making an understandable and debatable point about the pernicious impact of gang culture is not the same as saying “the whites have become black”. One is an assertion that we can talk about, the other is racism. What David Starkey meant doesn’t matter. What he said does, because he let that overshadow what he meant. In his desire to be controversial he abbreviated what he meant so that ‘black’ meant ‘criminal’ and ‘white’ meant ‘non-criminal, respectable’ which is not only historically illiterate, it’s racist. If you think blacks are criminals and whites are non-criminals you’e a racist. Which is fine, lots of people are and they have loads of organisations designed to let them get together and feel good about themselves. Own it. Join a club. Campaign for the repatriation of people whose families have lived here for decades. If you’re going to be imprecise in your language (and as a public intellectual that’;s unforgiveable, your one purpose is to be slightly cleverer in what you say than other people) then you have to expect your imprecision to bite you in the arse. Again, personal responsibility. Take responsibility for what you say. I’m sure Starkey isn’t representative of anything but the lack of research that is done to book people for television programmes. Great and good history is being done at universities all around the country, but Schama, Ferguson, and Starkey seem to be the only ones claiming the mantle of the public historian, which I think is sad. Where is Diane Purkiss’ ten-part documentary about the Civil War? Where is even a Gildea single documentary about Corpus Christie day? Why is history in the hands of two people who don’t even live here and a desperate self-publicist? A desperate self-publicist, you say? That’s a bit rich, coming from Twitter’s biggest self-promoter bar none. I prefer to think of it as a delicious irony. There are a couple of observations here. I have no dog in this dualist debate, because I prefer to remain outside the box, and keep my thinking, and hence my options, open. First, Starkey is obviously monolithic in his thinking, and of course, monolithic thinking leads to stereotyping and ultimately, bigotry of one sort or another. Monolithic thinking is categorised by the speech employed….using words like “these people” for example. You cannpt debate Starkey, or oppose him effectively, if you also utilize monolithism to support your argument. This isn’t a matter of White versus Black, as though Whites were a distinct group of singular mind and culture and the same for Blacks. Gangsta culture is a part of Black culture, to be sure, but it also has appeal, and is now a part of white culture, as well. Equally, for those arguing this from a “Left” perspective, you cannot claim that the rioters are all of one mind, nor can you claim that all of them are rioting because they are in pain. Some of these rioters, and it’s not an insubstantial percentage, are rioting because they get off on it. It’s an adrenaline high with the added bonus of some ripple, sneakers and a brand new sweat suit. This is why I said what I said on the other thread. Any challenge to this creeping Conservatism that is now in full gallop cannot no longer follow the same path it has for the past several decades. It’s time to mount a new challenge, a renewed, robust and effective resistance. It doesn’t have to be called “Left” but it must incorporate many of the ideals of the “Left” whilst shedding the undesirable aspects of any entrenched ideology. The real enemy, if it can be captured in one word, is Hierarchy. From Hierarchy spring forth all the ills of which we speak, but it’s seldom, if ever, identified as such, let alone mentioned. Hierarchy, by definition, creates disparity, and let’s face it, it’s this disparity, in it’s infinite manifest forms, that results in all this gnashing of teeth. Coming from the Welsh perspective on Starkey, we have constantly felt the impact of Starkey’s contemporary cultural ethnic cleansing, stemming from his terrible standards as a (so called) historian. It is with little surprise that his attitudes have spilled out into this domain as well, and in some respects it is heartening. Many people, until this point, just accepted Starkey’s view on history regardless of what spilled from his mouth, hopefully following this, people will be a little more inclinced to stop and ask, is what this man is saying actually correct, or might it be the ravings of a misinformed right wing Anglophobic racist? A worthy question to ask I think. Some people see political or social theory as some kind of lens through which to view and understand the human condition. These are philosophies, not sciences, and neither comes within a whiff of providing any testable premise, let alone any validated strategies for the benefit of families or communities. I don’t believe the riots have anything to do with politics, but certainly are the result of appalling parenting, combined with appalling (and totally unvalidated) faddish educational practices. We’ve brought up a generation of foul-mouthed, violent, ignorant, drug-addicted, irresponsible (in the widest possible sense of the word), disrespectful, lazy and non-contributing oxygen thieves who think the world owes them. And who think they deserve respect just for having a pulse. They may well be in need of a good example, but it doesn’t need to come from the “ruling classes”, (who as bad as they are are probably less corrupt than at any other time in history). It can and should start with their grown-up parents, who should be condemning their actions instead of making excuses for them. Kudos to the courageous mother who took her 2 sons to the police when she realised what they’d done. Kudos to the community members who rallied together to protect each other, and to clean up the mess. Kudos to the communities who are joining together to shout “no excuses”, “not on”. I live in the “inner city” and if you think it is all BS then running away from the problem he highlighted isn’t going to solve the issue…..the problem with liberal minded people is that they attack like lions anyone who says anything from their doctrine of liberalism so their liberal approach then borders on being like fascists..closing down speech that they hold to be against their views…because people have had to keep their mouths shut and sit back…all of this problem has festered like a cancer growing in society…..if you don’t think that Hip Hop culture emulates anything but MALE SUPERIORITY over every aspect of their life& that is the message being spoon fed to millions of you people black / white / asian then I don’t know what world your living in? Stop being scared about your own shadow and lets face issues…and solve them head on…straight talking after near on societal anarchy is much needed don’t you think?. I didn’t say it was all b.s. at all. I said that Starkey ruined the point he was trying to make by oversimplifying to the point that it was just untrue and trying to be controversial rather than shed any light on what had happened. This technique,as you may already be aware, is known as ‘Repressive Tolerance.’ It is one of Antonio Gramsci’s inventions as a part of the Frankfurt School drive towards imposing Cultural Marxism on us all. Basically, for those who do not know about it, it works like this: Every that is left wing is ‘tolerated.’ Everything that comes from the right wing is subjected to unrelenting critical intolerance. The purpose of this is to destroy, piece by piece and step by step the culture and values of the Western world. Instead of trying to get the workers of the world to unite, rise up and destroy the culture with revolution, the Marxists destroy the culture of the West in the minds of the people living in it. As for Hip Hop being about ‘Male Superiority.’ I would agree to a point, but I would also point out the important caveat that it began as a backlash to Marxist-Feminism which is about imposing female superiority. Again, as a part of the Frankfurt School’s subversion techniques. I write about this on my blog here: http://justamanwriting.blogspot.com/2011/08/resisting-evil-of-cultural-marxism.html for anyone who might be interested in looking into this further. I should also point out that many of the people who engage with Cultural Marxism have no idea what they are supporting. They just go along with what sounds like a great idea in a state of blissful political ignorance. They are what Marxists term, ‘useful idiots.’ They will pull on a Che Guevara T-Shirt or hold aloft a ‘Free Nelson Mandela’ banner in the firm conviction that they are doing “something” right, without having a clue what the political realities are behind their “protest” and because they want to do something they see as trendy. This, of course, highlights the biggest failure of the right wing of all — they have utterly failed to educate the British people regarding the dangers of extreme left wing politics. George, please clarify something for me. Are you saying that Che was a Cultural Marxist, or practiced Cultural Marxism? That’s not how I remember it. In fact, as we both know, he tried to get the 95% to unite, rise up and destroy the System that led to 5% of the population riding the backs of those who created and produced 100% of the value as though the creators and producers were farm and circus animals. If some entangled cultural aspects were abandoned in the process, so be it, if it was for the greater good. Now, in regards to the the utes wearing Che T-Shirts, that has more to do with exploitative and opportunistic Capitalism than it does with Cultural Marxism, unless of course, State Capitalism and Cultural Marxism are one and the same. Now that would be an interesting theory and worthy of further explanation. My Rollerball video was quite pertinent, if that is indeed your contention. That is an excellent essay by Marcuse, by the way. I have very similar sentiments, and the essay serves to, quite articulately, validate those thoughts. And what I mean by that is, Repressive Tolerance is in full force these days, but it is instituted at the behest of the State Capitalists…..perhaps underscoring the fact that the progeny of Strauss have beat the Marxists at their own game. Wolves in Sheep’s clothing. Trojan Horses. Of note, as well, is the irresistible irony that comments are disallowed at the Alfred The Great Society, whereas comments here are allowed, and hardly moderated. I’ll take Nat’s repressive tolerance (HaHa!) to your zero tolerance any day, and I’m not necessarily a Marxist, although I agree with many of Marx’s criticisms of Capitalism. Sadly I think Starkey came very prepared. It was as calculated an intervention as Powell’s intervention in the late 1960s. I also think its a mistake to suggest that his quote of Powell was in some sense ‘qualified’. He in fact developed Powell’s vicious racism, suggesting that ‘whites’ were becoming ‘blacks’ and that this explained rioting. It was hateful and totally unqualified racism. Its been extremely disheartening to discover that there were people prepared to defend this 1970s throwback and very heartening to discover that his calculated intervention was perhaps a miscalculation: that this was a step too far for most sensible people. Incidentally surely post-Breitvik people should drop this hysterical right wing conspiracy theory about ‘cultural Marxism’? Its the modern version of writing in green ink. What stuns me is how many people think that Starky was being racist. This is surely indicative of just how many stupid people live in the UK. For all the knee jerk lefties out there, this is what Starky was saying. Chris Rock defines the unhelpful behaviour of a subculture behaviour as not being black. He identifies members of this group as ‘N-words’ to talk about them separately from black people. For Chris Rock, the normal and civilised is ‘black’, the lazy or criminal or gangsta is ‘N-word’. For David Starkey there is no difference between a black culture and those Chris Rock is describing as ‘N-words’. He is saying the opposite of Chris Rock. He uses the word ‘black’ to mean ‘violent, destructive, nihilistic, and gangster’. He goes on to say that when a black person behaves in a middle-class way, they become white. In Starkey’s world there are no non-criminal black people. It is the exact opposite of what Chris Rock is saying in the video you embedded above. But thanks for trying. Not to mention that to be racist, is to be stupid, by definition, because there is no such thing as race, scientifically speaking. There is culture, for sure, but it’s not the result of skin pigmentation, but rather shared and perpetuated behavioral patterns. Certain genetic features such as the color of one’s skin pigmentation may affect the way those with differing pigmentations, or other varying genetic features, interact with, and treat each other. As a result, this may have an affect on each group’s respective cultures, and/or sub-cultures, but it has nothing to do with any latent genetic ability or deficiency. That being said, it doesn’t mean that racism (however wrong it is) isn’t very real, and its effects very destructive…because it is, and they are. What it does mean is that idiocy and simplistic thinking are alive and well, as they’ve always been, although in the year 2011, one would have thought that Humanity could have evolved beyond such nonsensical categorizations and attributing to the whole the sub-cultural behaviors of a few.